"The US Powerball Lottery - One of the Richest World Lottery Games"
Power Ball is an American lottery game which is sold through various State Lotteries as a shared jackpot pool game. The Power Ball Lottery can proudly claim to have produced what is currently the biggest lottery jackpot in the history of world lottery games – reaching a truly incredible US$ 1,586,400,000 – that's right... US$ 1.58 BILLION – which was won on January 13th 2016 by 3 lucky winning ticket holders from the states of California, Florida and Tennessee. The biggest single ticket lottery win in the world to date has been US$ 590.5 Million which was won on May 18th 2013 by Gloria C. MacKenzie from Zephryhills, Florida. The Power Ball Lottery is drawn every Wednesday and Saturday at 10.59pm EST with the draw taking place in Tallahassee, FL. The forerunner to this Multi-State game was Lotto America which began in February 1988 before changing its name to the current Powerball in April 1992. The Power Ball Lottery is one of the 2 largest and most popular of the USA Lottery games and is indeed one of the biggest lotto games throughout the world. Millions of lottery players take part in the Power Ball – from the Multi State Lottery Association – twice every week not only in the USA but from right around the world. The USA lottery game, Powerball is co-ordinated by the MUSL (Multi-State Lottery Association) – a non-profit, government-benefit association formed by an agreement with its member lotteries. The MUSL is also owned and operated by 33 separate, participating State Lottery companies and manages the finances for each game. 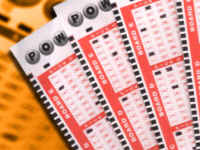 It also provides other lottery games to its member lotteries including Hot Lotto Wild Card2, 2by2 and MegaHits. The state lottery retains all profits made which are used to fund projects approved by each of the individual state legislatures. As well as the existing 33 USA Lottery members of the MUSL – 14 more US Lottery companies are licensed to sell Powerball tickets. On January 31st 2010 Powerball from the Multi State Lottery Association (MUSL) and its rival – Mega Millions – began offering each others lotteries in many US States under a cross-selling agreement that opened up each game to a much wider audience. This increased the number of USA State Lotteries offering the Powerball lottery game from 33 to 43 in January 2010 with the Ohio Lottery also joining in April 2010 and then the Cailfornia Lottery in April 2013. The Wyoming Lottery joined on August 24th 2014 followed by the Puerto Rico Lottery on September 28th 2014. This means that you are now able to play Powerball throughout almost the whole of the United States of America across a grand total of 47 different US States & districts as well as from most countries overseas when you play Power Ball Online. Similarly – at the same time on January 31st 2010 – the equally huge Mega Millions game began to be offered in Power Ball jurisdictions – raising the total number of USA State Lotteries to be offering the Mega Millions lottery from 12 to 36 in January with 8 more Powerball States then joining between March 2010 and November 2011 with the Florida Lottery joining in May 2013 and the WyoLotto from Wyoming in August 2014. This means that you are now also able to play Mega Millions games across a grand total of 46 different US States & districts as well as from nearly anywhere overseas when you play Mega Millions Online. Powerball Lottery players will need to pick 5 numbers from white lottery balls numbered 1 to 69 and 1 additional "POWERBALL" number from red lottery balls numbered 1 to 26. Each entry costs US$ 2.00. There is also an additional feature that players can utilize when playing for just an extra US$ 1.00 – PowerPlay – whereby a prize multiplier is applied to all non-jackpot prizes. Players can multiply these non-jackpot prizes by 2x, 3x, 4x, 5x and even 10x with the Power Ball Power Play multiplier option – thereby dramatically increasing the amount they will win. The latest (October 2015) version of the game means that any 2nd prize ticket worth US$ 1 MILLION played with PowerPlay will be automatically doubled up to US$ 2 MILLION in cash. The starting jackpot for the Power Ball Lottery begins at a healthy US$ 40 MILLION making it one of the world's highest 'base' jackpots even before a rollover has started to increase it in size. The largest of the Power Ball jackpots generally occur once the game has seen at least 15 consecutive rollover draws take place. Draws for the Power Ball take place twice every week on both Wednesdays and Saturdays at 22.59 EST. From January 4th 2009 until January 14th 2012 – the Powerball POWERPLAY number was drawn using a Lottery Number Picker or Random Number Generator (RNG). With effect from the game changes made on January 15th 2012 until January 21st 2014 – the Power Ball PowerPlay multiplier offered increased fixed prizes – the amount of which depended upon the main prize won. Further game changes on January 22nd 2014 saw the return of the variable Powerball Power Play prize multiplier which was again drawn by a random number generator. The 2 main sets of lottery balls – 69 white and 26 red – are both drawn from separate but identical drawing machines. You are welcome to use the Global Lottery Review Lotto Number Picker to select your own random set of Powerball numbers.